Serving Ideas for fondue dipping: strawberries, bananas, apples, pears. Lady Fingers, pound cake, crisp wafers. Marshmallows, Rice Krispie treats. Dried fruit, granola bars, brownies. Also makes a great serving set for vegetables and dip. 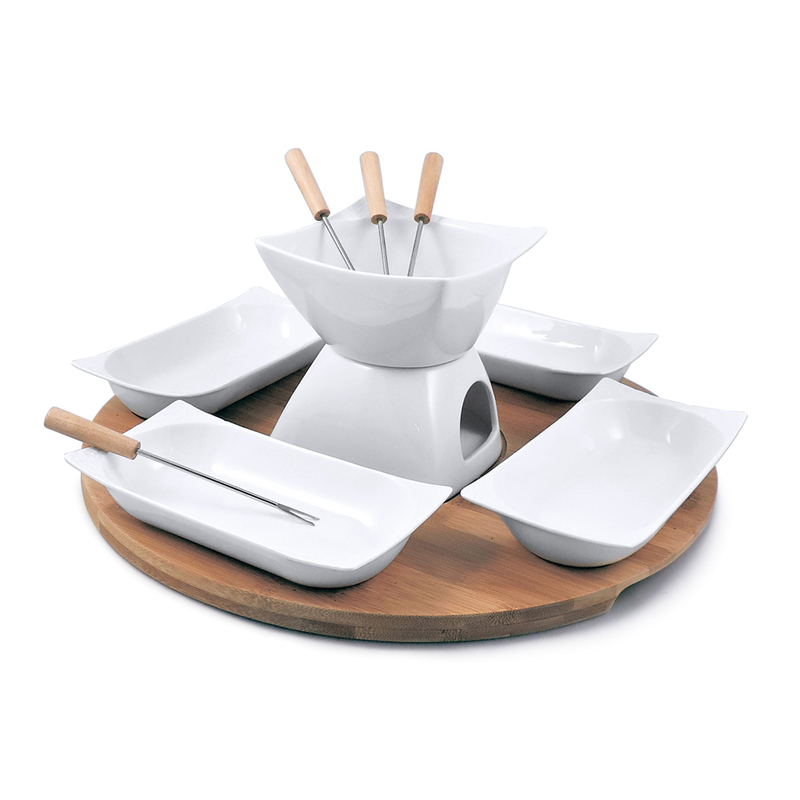 From the simple and classic to the modern and versatile, this attractively-priced fondue set is sure to please. Make it a perfect treat for two or an entertaining platter for your holiday parties! For our chocolate fondue, simply dip your fruit and goodies in a pool of luscious chocolate with Swissmar's Sensui Chocolate Fondue Set.